The trailer for The Avengers: Infinity War has arrived, spilling more secrets, plot twists, new characters, and teases than we ever hoped. Piecing them together will be more difficult than usual, considering the number of moments and action sequences intended to excite fans, which is why we're breaking them all down, one by one. 30. Tony Stark's Lowest Moment Yet? The image of Tony Stark seemingly seated, pressing his hands over his mouth, head lowered in silence may prove to set the overall mood for the MCU when Infinity War closes, judging by the menace posed by Thanos. There are a few things to take away from these opening moments of the trailer, and fans shouldn't be too focused on plot details or the orange-hued background to miss the character drama at play. If they aren't already, this somber opening reminds Marvel fans everywhere to keep Tony's desperation in the forefront of their mind. The man who was shown the destruction of The Avengers by Scarlet Witch in Age of Ultron sure looks to have walked down that very path. As for the setting, the warm but unstable backdrop suggests it's the same planetary landscape shown in the shot previous. No way to guess what world that is, but the star-shaped structure behind Tony (and visible in this lighting elsewhere in the trailer) could be a clue. Especially since it shares a bit of a similarity to the badge of the Nova Corps, as seen on Xandar in Guardians of the Galaxy... the hiding place of the Power Stone Thanos adds to his gauntlet. Look, after Thor: Ragnarok gave Marvel fans an appetizer of the next full-blown Avengers team-up, there's not going to be much concern over WHY Bruce Banner winds up in Doctor Strange's home. But the fact that he seems to have fallen out of the sky and smashed through the many floors of New York's Sanctum Sanctorum as the Hulk is probably relevant. Especially since he seemed to be perfectly happy aboard Thor's spaceship at the end of Ragnarok. Then again, this trailer sees Thor significantly worse off after that happy ending as well. So whatever causes Thor's situation may also be responsible for sending Hulk falling back to Earth. Assuming that, there's still the question of how or why he ends up falling into Doctor Stephen Strange's lap (with Wong there to witness his arrival). It can't be coincidence, so it seems only one of two options is possible. Either Strange brought Hulk to that location and is simply stunned at the destruction of his landing, or that Hulk was intentionally reunited with Earth's other defenders by... someone. Later shots in the trailer show New York in serious trouble, with a spaceship hovering over its neighborhoods, so whatever the reasons, the trio - plus Tony Stark - seems to be following their own Earthbound story towards the movie's climax. 28. Hey, It's Paul Bettany! Yes, at long last, the transformation of J.A.R.V.I.S., Tony Stark's artificially intelligent butler program into a fusion with Ultron dubbed 'Vision' has continued until audiences get to see the actor in the flesh. Paul Bettany made Vision seem human even with his hard, magenta shell and artificial body - which means his appearance as an actual flesh-and-blood human in this scene with Wanda Maximoff a mystery. But for the fans excited to see Vision become 'a real boy,' it may not be exactly what's being shown. For starters, the Mind Stone can still be seen glowing in Vision's forehead. Since that's the Infinity Stone that's been shown capable of warping people's minds to show them their dreams, desires, and darkest nightmares, the fact that it's glowing brighter than usual could be evidence of its activity in this particular scene. As in, Wanda sees Vision as a human being because he wants her to... yet remains his usual, semi-artificial self. That's not necessarily a bad or dishonest thing, since the Mind Stone also gave Wanda her own powers over reality and perception. The pair share something much deeper than affection as a result, and if they both view reality the same way, then the Scarlet Witch/Vision romance of the comics may finally head into high gear in Infinity War. 27. Thor Aboard a Spaceship... But Which One? With the now-well-detailed footage of Thor meeting the Guardians of the Galaxy spreading beyond those in attendance at either D23 or Comic-Con, the image of Thor standing aboard a spaceship and surveying a planet outside its windows seems self-explanatory. Except this isn't a section of the Milano that's been seen in Guardians of the Galaxy previously - and it's not exactly a massive vessel to begin with. So what ship is Thor occupying? And what's the cosmic landscape he seems to be taking in? It looks like the planet outside of the ship's windows is in flames, and considering Thanos's powers in Infinity War, that's not a huge shock. But this early on, we would wager that Thor has a plotline all his own (with the Guardians) as the Earthbound Avengers wage a war of their own. With Thor appearing among major spaceship-like structures later in the trailer, this seems to be related. Is he held prisoner aboard Thanos's ship? Does he return to the one he captain-ed at Ragnarok's end? Your guess is as good as ours. We know, we know: when a gigantic gauntlet of the Hulkbuster Armor is in a scene, it's hard to focus on anything else. But considering just how much both Bruce Banner and Natasha Romanoff have been through since the beginning of their romance in Avengers: Age of Ultron, their reunion is guaranteed to be an interesting one. The trailer only reveals a smile from Nat in what looks to be Wakanda, and from Bruce's perspective, the sleeve of Nat's new costume is visible directly opposite. The fans will obviously hope that the reunion is a happy one, and Nat and Bruce can get on with their obvious connection (since an invasion from cosmic conquerors can definitely make children and a happy family future seem like a luxury, not a concern). But Bruce will have a lot to answer for, abandoning the Avengers at the end of Ultron for their sake and his own. The story of his years spent in an alien gladiator arena will be worth hearing, but it might be his run-in with Thanos (or some other mystery alien ship) in the Ragnarok mid-credits scene that's deemed more pressing. Thanks to this shot, Banner's arrival can be clarified as smashing straight through the main staircase of the Sanctum Sanctorum. It may be a small detail, but honestly, the staircase is turning out to be an incredible landmark in the MCU already. Sure, Doctor Strange, Wong, and Kaecilius have ascended it, but now Thor and Loki have both had memorable encounters, and now Hulk and Iron Man, too. Presumably, Banner urged Earth's sorcerers to call in Tony Stark so he could pass on the necessary information (that might be lost on the less scientifically-minded). And when you're saying that around an award-winning brain surgeon, that's saying something. The four all seem to be reacting to the commotion on the street, which ties in with the spaceship hovering over New York (glimpsed by Peter Parker in the next shots). We don't know who or what the spaceship is delivering, but it looks like Hulk smashing straight through the Sanctum, the next age of the Avengers may be born. What other outcome could there be when personalities like Tony Stark and Stephen Strange enter the same room? It seems like just yesterday that Tony Stark and Steve Rogers were trying to beat eachother into submission in the final fight of Captain America: Civil War. Fans couldn't have known then just what the Russos had in mind for their next directorial outing, Infinity War, but we do now. And as an added bonus, the directors have continued one of their final plot threads from Civil War. - guaranteed to make the more emotional fans hope for an eventual reunion of the MCU's most strained (but respectful) friendship. The closing scene of Civil War took place after Steve had escaped into hiding, before freeing his teammates from Stark's Raft prison. It wasn't an act of war, however, since Steve also sent Tony a peace offering. He would take his friends, and keep to their protest of the new Avengers mission... but left Tony a phone should he ever need them. And as you can see, once the crisis strikes New York City as Wong, Strange, Banner, and Stark look on, Tony has Cap's flip phone in his hand. Has he already made the call? There wasn't much that Spider-Man: Homecoming got wrong about Marvel's webslinger, but there were some parts of the hero's backstory that the reboot avoided. Chief among them was Peter Parker's superhuman 'Spider Sense' - or his lack of it altogether. Most fans were probably enjoying Peter's Stark-supplied gadgets and his return to the Marvel Cinematic Universe to even notice, let alone care, but Homecoming's director broke the news ahead of release. Saying that Peter's ability to predict coming danger was an interesting idea to explore in sequels, it looks like Infinity War will be the first movie to feature Spidey's intuition. That's what appears to be happening in the brief glimpse of Peter on a school bus, caught off guard by the hairs of his arm standing on end. Even before he mentally knows that something is about to happen, his superhuman reflexes are getting ready for action. The trailer doesn't show what that danger is, and Peter's later appearances suggest Spidey Sense has its limits. But with Spider-Man: Homecoming's sequel starting minutes after Avengers 4, who knows how much more developed Tom Holland's version will be by then! It's hard to actually know what the ring-shaped spaceship is supposed to be, who it's connected to or being flown by, or what purpose it's meant to serve. But based on the shots of it hovering over New York, it seems to be wreaking havoc on the structures below it by tearing it into pieces, and pulling them into the sky towards it. How is anyone's guess, but we would assume it has to do with the spinning rings located inside the exterior loop. The immediate damage can be seen around the heroes as they take to the streets in awe of the device, but there's no telling how much damage is about to be unleashed. And as is usually the case with superhero movies, there will be some who note the similarities to Man of Steel, which also used a hovering gravity weapon to reduce a city to rubble. But until we know more, 'evil space device' will cover all the necessary bases. The shot of feet picking their way through rubble and dead bodies is immediately preceded by one of Loki, so it's tempting to pair them together. But judging by the actual boots and pants, that's the first official look at Ebony Maw, one of Thanos's children and henchmen in Infinity War. Probably the creepiest, too, since his thin frame reveals it's not just brute strength or combat skills that make him useful to the Mad Titan's campaign. In the comics, Ebony Maw - basically meaning "black mouth" - is blessed with the ability to talk almost anyone into doing as he wishes. Once he’s done it, a piece of him remains in their brain to make control easier next time (if there is a next time). He may be the most unpredictable, duplicitous, and in some ways, most dangerous member of Thanos’s team. Whether he manages to use that skill on some of Earth’s heroes to potentially fight against their own, or even an Asgardian prince… remains to be seen. Make that ONE question we were left asking in the wake of Thor: Ragnarok explicitly answered: Yes, Loki took the Tesseract out of Odin's vault. As tempting as it may be to assume a sinister motivation for Loki's actions, we would warn against it for now. After all, when Loki actually stumbled upon the Tesseract and eyed it suspiciously, he was in the process of destroying Asgard and everything in it. From a certain point of view, Loki determining that an Infinity Stone was too important to leave behind was responsible of him. Of course, that was before Thor was sent tumbling through space... and before Loki offered the 'Cosmic Cube' up to an unknown figure. The obvious answer is that Loki is delivering the Tesseract to Thanos, as he promised he would back in the first Avengers movie (as payment for the Chitauri army and Staff to conquer Earth). Once again, it may be Loki who ruins everything for the MCU heroes, awarding Thanos with the Space Stone - the one Thanos can definitely be seen using in the trailer. His arrival has been coming for years, and his appearance has changed plenty from his first cameo debut in the MCU. But there's no more anticipation needed: Thanos has arrived to do battle with the Avengers directly. That's what the trailer shows, at any rate, as Thanos tears open a wormhole thanks to what looks like the kind generated by the Space Stone - otherwise known as the Tesseract. It's the kind of portal first created back in the beginning of The Avengers, and here seems to grant Thanos access to an unknown world, from an unknown location. We say "unknown," but wherever it is, it sure looks like the same landscape that opened the trailer, with Tony Stark seeming to be at his lowest point yet. The star-shaped structure in the back is the key, and the fact that the skies are still clear may suggest that the real devastation comes once Thanos begins the fight. The first glimpse of the CG used to turn Josh Brolin's performance into Thanos, and how it has changed from his previous appearances - most notably in Guardians of the Galaxy - is up for the fans to discuss. The Marvel fans were left drooling at the possibilities when Spider-Man: Homecoming concluded with a one of a kind offer. After entrusting Peter Parker with a Stark Spideysuit for half of the movie (since Captain America: Civil War), Tony decides that the young hero has proven himself to be effective without the many gadgets he supplied. And for that, an invitation to the Avengers is extended - complete with a brand new, metallic Spider-Man suit. Peter turns down the offer in that movie, but by the time Infinity War rolls around, he's made the upgrade. Referred to by fans as the MCU's version of the Iron Spider armor from the comics (despite lacking all of the robotic spider legs of that armor), the blue, red, and gold look heightens the stakes and style from Homecoming's more down-to-Earth adventure. This shot shows Peter donning his suit to go leaping into the inside of the previously mentioned spinning-ring-gravity-weapon-spaceship, so his first action sequence in the movie may be one for the books. Lucky for him he's got a few Avengers watching his back from the ground. 17. Thor Tries To Keep The Doors Shut? As evidence of just how mysterious and standalone Thor's mission is looking at this point in the trailer, the above image is a riddle, wrapped in an enigma, shielded behind Marvel Studios' best secret keepers. The image depicts rings within rings, and Thor within the innermost, straining to... well, it's unclear. Hold two separate sections of the machine together? Flip two switches at once? Without knowing where Thor is, or what he's trying to accomplish, the rest of the speculation stops in its tracks. What we would draw viewers' attention to is the background of the scene, and the blinding light beginning to enter the dark interior of the ship (if it is a ship). The light is growing because those horizontal doors are being opened, letting in what could be direct sunlight (and in space, that's a deadly thing). Thor seems to be screaming from either exertion or pain, but if his hands weren't holding their grips - and were instead chained - then this alien death sentence would be a lot easier to read. As it stands, there's a lot more to this story we're not being told just yet. Thor: Ragnarok made some major changes to Thor's character well beyond the superficial, explaining why the Infinity War footage sees the short haired, one-eyed, capeless Thor join up with the Guardians of the Galaxy. Things have clearly gone wrong since fans last left the Asgardian, most likely connected to the ominous ship that confronted Thor and Loki in Ragnarok's mid-credits scene. It's a bit of a disappointment, since Ragnarok seemed to just be getting started, placing Thor at the head of the Asgardian remnant, venturing off into a future where anything is possible. The good news is that the god of thunder's new style is here to stay. Director Taika Waititi took great pains to put some distance between Thor and his regal, Shakespearean roots: leaving behind - permanently - the silver-scaled arms of the original Thor costume, and tearing his signature red cape to tatters. The mid-credits scene of Ragnarok saw Thor embrace an all-black suit of armor, with the cape completely absent. The impact of an all-black Thor may be lessened alongside the rest of the Avengers (including Cap's new suit), but it's still in the running for Thor's slickest look so far. The members of Thanos's Black Order count more than those set to appear in Infinity War, but thanks to some set photos and videos of Proxima Midnight’s staff, her inclusion was all but guaranteed long before her movie design was revealed with the other children of Thanos. With Proxima’s fighting skills, leadership, intelligence, agility, and endurance rivaling,she's without a doubt the most formidable of the Black Order warriors. And that’s not even including the unique nature of her aforementioned staff. Built to harness the power of a sun in a distortion of the normal universe, it’s been shown capable of possessing the weight of a collapsing star, the power of a supernova, and the pull of a black hole. That means the staff is lethal to almost any superhero whether it’s thrown, used to launch attacks, or even placed on top of the Incredible Hulk, for instance. Unless you're Captain America, in which case you can catch that spear with little effort. Still, we'll take it as a compliment to the superhero that Thanos sent his most dangerous child to defeat Steve Rogers. But Steve isn't alone... and neither is Proxima, as the rest of this scene reveals. In the wide variety of twists and resurrections throughout Marvel's movie universe, the greatest will always be the magic of Thor losing his hair and beard... only for Captain America to find it. Sure, there's a bit more story behind it than maintaining a 'grooming balance' to the fictional universe. Since Civil War, it seems that Steve Rogers has done about all he can to disguise himself from the searching eyes of the U.S. Government. But his hair is only the beginning. The biggest chance to Cap's look for Infinity War and beyond - aside from the lack of a shield, having left it behind with Tony in Civil War - is his costume. The suit looks like the same one he wore throughout Civil War, but without the vibrant colors of the American Flag. It's all been replaced with shades of black, including the removal of the gleaming silver/white star on his chest. Will it return? Perhaps one day, but not until the future stops seeming as dim as this shot. too good an idea to only make one appearance in the world of The Avengers, the Hulkbuster is BACK. The gauntlet being worked on by Bruce Banner in that earlier shot isn't a tease, but a precursor to the suit's debut... with one possible twist. After all, it seems like the Incredible Hulk may actually be on the hero's side without fail this time (why else would Banner be making sure Stark could wield it once more?). But the presence of the souped-up suit raises two immediate questions fans should keep in mind. First, where is this scene set? That one's easy to answer, thanks to later shots. The backdrop matches other shots of Wakanda in the lead up to the large scale infantry battle which ends the trailer. The other questions is who is operating it? If it's Tony Stark, then the implication that Steve and Tony are pursuing different paths in Infinit War needs to be tweaked - allowing them to join forces by this final battle. But then where's Thanos? And could the armor be deployed to give Tony a better chance against him... or his son, the nightmare version of the Hulk? He may be a rookie in the superhero game compared to some of his MCU teammates, but Spider-Man isn't lacking for spirit or determination. Look no further than him leaping onto the aforementioned gravity-weapon-ship, as his older colleagues remain on the ground. But sometimes, you have to learn to 'look before you leap' the hard way. Which is why we're more than a little concerned by this shot, in which Peter Parker squares off against Thanos one-on-one. Predictably winding up pinned beneath his fist, with the suggestion that some significant hurt is headed his way. There's a good chance that's part of the reason Tony is so shaken up in other orange-tinted shots, having been personally responsible for not just recruiting Peter to the Avengers, but providing him with his newer, better suit. A suit can only do so much, of course. The good news is that we know Spider-Man will live through the encounter relatively unscathed, since he has Avengers 4 and his next solo sequel to look forward to. But not all wounds kill... yet they can still leave a serious mark. Send Peter happy thoughts, we beg you. It seems straightforward enough that the landscape upon which Thanos wages his war against Iron Man, Spider-Man, Doctor Strange and Star-Lord (shown in greater detail in Infinity War's D23 teaser) is an alien one. The fact that Thanos uses the Infinity Gauntlet to destroy a moon in the sky, and send it flying towards the heroes all but guarantees it. But the battle will come to Earth in a big way, as shown by the second half of this Infinity War trailer. Beginning with the massive constructs slamming into the jungles outside of Wakanda. Lest fans fear that Marvel is aiming for Transformers-level global destruction, the truth seems a bit smaller in scale. Given the massive waves of alien warriors fighting against Black Panther's side in subsequent shots, these are troop carriers for the shock troopers of Thanos: the aliens known in the comics as Outriders. Since Thanos can't go around the universe fighting his own battles (as demonstrated with every MCU movie so far), he gathers both lieutenants to serve him, and ground troops to spread his influence and awareness across the galaxy. For the first group, his children will be the distinguished opponents of the Avengers capable of explaining the odds stacked against the heroes. But for the sheer numbers needed to wipe out Earth's resistance, Thanos will rely on Outriders, just as he did in the comics. The alien race, like these Children of Thanos, rose to prominence in the 2013 Infinity comic series, the influence of which can be seen in a number of places in Infinity War so far. The aliens were easy to spot thanks to their black hide, white faces, and multiple clawed arms, engineered by Thanos to act as scouts and cannon fodder for his conquest of peaceful worlds. They were never shown in the massive numbers of Infinity War's battle though, so this should be an unexpected treat for both comic book fans and MCU lovers. As the one-time poster boy of Marvel's movie universe, there isn't much actual Iron Man in the Infinity War trailer, focusing instead on Tony Stark outside of his armor. It might seem like a minor note - easily explained by a majority of the Iron Man footage still in production - but may hint at a far greater evolution of the character. By this point a new MU movie means a new suit of armor for Stark, and Infinity War's new Iron Man suit is no exception. But even if each incarnation and update seeks to smooth out, streamline, and contour Stark's duds, this new suit's thinner-than-ever look could be a major comic book adaptation. For the comic fans, Marvel's "Bleeding Edge Armor" represents the true apex of Stark's Iron Man technology, so advanced, few fans probably expected to see it adapted to film at all. In the comics, the armor was reinvented on a nano-molecular level, able to be absorbed into Tony's body (and be stored in his bones) and deployed back to the surface when called upon. We doubt that will be the case on film, but the fact that this armor does seem smoother and more seamless than ever, and that Tony suddenly has a gadget planted in his chest (despite having the shrapnel removed from his heart) is hard to ignore. Our best guess? The armor is liquid-based, contained in Tony's chestpiece when inactive, but rapidly spreads to take shape around him at the press of a button. Now THAT we haven't seen before. 8. Bucky Barnes Awakens a New Man? When last we saw James Buchanan "Bucky" Barnes, he was being spirited away in secrecy to the nation of Wakanda, itself concealed from the world. With his artificial arm torn loose by a raging billionaire, it was impossible to know just how long Bucky would be cryogenically frozen under the watch of King T'Challa, the Black Panther. We know he won't make an appearance in the actual story of Black Panther's first movie, but the trailer shows he will be joining the fight in a major way come Infinity War. As much as a thrill as it is to see him leap into danger with Steve Rogers at his side once more, there are some questions to ask. The first of them being: who is Bucky when he wakes up? It was assumed that, given Wakanda's medical advancements, they would be able to somehow restore Bucky to the man he once was (not the arm, but perhaps address the decades of brainwashing). It's all speculation for now, so let's just hope that Tony Stark and Bucky don't wind up alone in any rooms. It's also worth pointing out that Bucky's artificial arm has returned - but made out of a different material than the high-sheen chrome of Hydra. It's only visible in to shots, but a shift towards a darker metal - perhaps one imbued with Wakanda's unique properties - wouldn't hurt. His name alone should drive home just how unsettlingly sinister Corvus Glaive is when doing Thanos's bidding – and it’s Corvus, if anyone, who is the clear ‘right hand man’ to the Mad Titan in the comics. He may lack some of the strength or agility of the previous members of the Black Order, but his mind for manipulation, shrewd battle tactics, and fierce loyalty to Thanos make him a true power broker. He’s a strong match with his wife, Proxima Midnight, where he can deduce the most brilliant path forward, and rely on her to make it so. He’s not without his own abilities, though, and the movie version of Corvus Glaive will sport his double-bladed staff almost exactly as it looks in the comics. There are two things that make it an exceptional weapon: it’s capable of slicing through anything, and as long as his blade remains intact, not even death can keep Corvus down for long. That's bad news for Vision, since it seems like he's out of time, with Corvus's signature clawed feet, bladed staff and tattered robe atop the Avenger. He's doing something to reclaim the Mind Stone, so here's hoping Vision has some back-up (Hint: he does). 6. Widow Kills a Child of Thanos? For Captain America, going 'into hiding' may have meant disguising his chiseled jawline and immaculate hairstyle. But for a character with a signature hair color like the Black Widow, a shift to blonde is apparently a more effective change (and one that allows Scarlett Johansson's real hair to be used on screen). The circumstances of this shot may be the most important part, as the lighting, background, and character seems a match for the prior shot of Vision defeated. And the same goes for Proxima hurling her spear at Captain America - the same spear that looks to be glowing right next to Vision in the previous scene. So, were Wanda and Vision not necessarily running from the threat of Proxima and Corvus - but to their exiled leader and his closest assassin ally? It would help connect the dots, and means this shot of Widow angrily thrusting a spear into a body - both of which seem to belong to Corvus - is more than a regular strike. Perhaps Cap and Widow actually prove that the children of Thanos are far from immortal, removing one - or BOTH - from the story. Here's hoping, for vision's sake. The Tesseract may be the only Infinity Stone explicitly shown being pursued by Thanos in the trailer, but he's obviously been busy. In the shot of the Mad Titan adding the Space Stone to his gauntlet, the purple stone from Guardians of the Galaxy is already embedded. That may add even more evidence of some serious trouble for the Nova Corps, since the Power Stone was last seen being kept under lock and key in the galactic police's headquarters. It's a heck of a one-two punch, and the order Thanos gathers the Infinity Stones may be intentionally clouded this early on. But with mastery over Space and Power, turning a planetoid into weapons to hurl at his enemies may just be the tip of the iceberg. 4. Cull Obsidian Wages War on Wakanda? Taking on black Panther's mighty warriors is no small feat, so Thanos appears to have left it to his most brutal warrior: Cull Obsidian (the name of the entire group in the comics, now used as a replacement name for Black Dwarf). And believe it or not, this horned, evil Hulk may be more than a mindless CG bruiser. We knew ahead of time that Apes veteran Terry Notary was playing Cull Obsidian, after teasing that he was playing "one of four" henchmen for Thanos. Since his character will require the most ambitious visual effects, it makes sense he would be the only one absent from this trailer. He called himself the Mad Titan’s true right-hand man at the time, so Cull fits the bill (even with a weapon swap from comic axe to movie swords). He's hoping that he can fare better on film than he did in Infinity, being stopped and driven back by Black Panther when he tried to conquer Wakanda. This time around, it would seem he's after the final Soul Stone held in Wakanda all this time. Good luck. 3. When Did Rhodey Switch Sides? Nobody is complaining about the assembled heroes making their slow-motion assault on the Outriders attacking Wakanda. Captain America, Black Widow, Black Panther, Okoye, Hulk, Bucky, Falcon, and War Machine make a formidable first wave... but the presence of James "Rhodey" Rhodes allied with the heroes he fought in Civil War is probably worth mentioning. The closing scenes of Civil War saw Rhodey reiterate his stance on the Sokovia Accords, and that even the loss of his legs hadn't changed his mind: the Avengers need oversight, plain and simple. Hopefully, his decision to join up with this united front against alien invaders comments on that fact, and doesn't rest solely on 'extreme measures' being called for. There's also the question of Rhodey's own physical state. It's believable enough for him to pilot the War Machine armor without the full use of his legs, since Tony has had plenty of time to make adjustments and updates since Rhodey's accident. The mood at the close of Civil War wasn't exactly grim, with Tony having already designed a leg rig to help Rhodey re-learn to walk. In the years since, who knows how far he may have come? 2. Will Tony's Team Lose... So Cap's Can Win? Watching the trailer's division of the Avengers into smaller teams, it's hard to miss the tone of each individual group's battle. The grouping of Tony, Doctor Strange, Wong, and Banner seem to be struggling just to get a grip on what madness Thanos is unleashing on New York City. 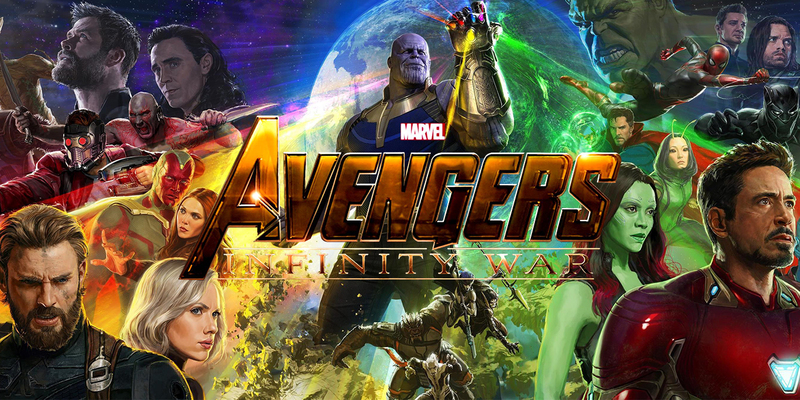 Later, it looks like Tony and Spider-Man will be making an attack on Thanos - thanks to the Infinity War teaser from D23, we know that Doctor Strange and at least some of the Guardians of the Galaxy will be there, too. And again, Tony's broken and despondent look at the beginning of the trailer doesn't instill confidence. So we have to ask... is Iron Man doomed to lose the fight on his own? It would be a harsh twist, but certainly deserved in at least a karmic sense, after Tony locked up his friends and fellow heroes in an isolated, maximum security prison - and didn't even release them after the fighting was all over. Compare the tone of Tony and Peter's fight - presumably set earlier in the movie than the Wakanda showdown - with the heroic charge of Steve Rogers and his friends, and the hope Captain America brings is palpable. Just how badly beaten will Tony's team be? Is it possible that they could fall, in a big way, to Thanos... leaving Steve Rogers and his Secret Avengers to save the day in this film's finale, or possibly even in the next Avengers sequel? 1. The Guardians Join Thor's Story... But When? The studio saved the best for last, uniting the brand new, one-eyed Thor with the equally-zany (after Ragnarok, anyway) Guardians of the Galaxy. This time around Thor is sporting his Odin-esque eyepatch, having been added after the teaser footage kept his eye wound a secret best revealed by Ragnarok. It may have been the scene to open the prior teaser, but after weighing all the evidence, it may be more likely for Thor to have been put through his Infinity War ringer already. Only after being beaten is he recovered by the Guardians, bringing them into the Infinity War while keeping the bulk of their role for the next movie. Those are all the Infinity War Easter Eggs, subtle secrets, cameos, and comic references we could spot on our viewing, but there are sure to be more revealed by the day. If you spot any that should be added to our list, be sure to let us know in the comments!